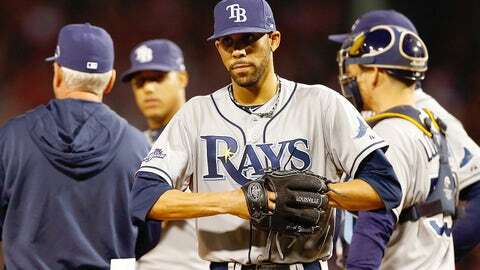 Tampa Bay better get a good deal if they're going to let David Price leave. David Price gives the best high-fives in all of baseball. They sting the hands and deliver noteworthy affirmative vibes. This display of love for his teammates doesn’t occur only after a good performance on his part. He generously disperses them for a variety of reasons, including a smart base-running decision, a new baby coming into the family, a cribbage victory, etc. Why would the Rays consider trading a player like this? Because they must to be competitive year in and year out in the AL East. Their model is built on acquiring young, controllable players by dealing more expensive successful, proven commodities. They simply don’t have the resources to allocate a large percentage of their payroll to individual players. Theirs is a game of exploiting inefficiencies in the marketplace, not in employing already established superstars, which David now is. One of the best pitchers in baseball? Check. Left-handed and therefore in higher demand? 100 percent. In his prime at age 29? Yup. Under team control for two more years? Believe it. Among the games’ most influential leaders on teammates and other pitching staff members in particular? Unequivocally. Price is one of MLB’s great teammates and the likelihood is he’s about to be unseated as the ace of the Tampa Bay Rays via trade and make some extraordinarily fortunate clubhouse monumentally more cocksure. In 2009 as an outfielder for the Rays, I stood on the rail of the Tampa Bay dugout at Tropicana Field during a game in which he wasn’t pitching and I wasn’t playing. We gazed out onto the field as we discussed relationships, music, food – basically everything unrelated to baseball. David was inquisitive and engaging. I witnessed in that conversation a young lefty in his first full season facing the challenges of being both a rookie and the best arm on a staff that included the dependable James Shields. During that chat, David balanced being immersed in our conversation and invested in the game closely enough to erupt in joy when we scored a run or celebrate with a fist pump after a spectacular play on defense. This kid wanted to win and wanted to win badly. Part of the beauty of playing with seven teams across MLB is that I got to know hundreds of men intimately. I can assure you the above anecdotes for superstars like David are rare if not entirely unique. Chris Archer is one of the Rays’ young stud hurlers currently sharing rotation space with Jeremy Hellickson, Moore, Alex Cobb and of course, Price. Archer told me this past season that Price rarely missed an opportunity to digest one of Archer’s bullpen sessions. “Pricey pulls you aside, makes suggestions, quietly lets you know when you’re right or wrong, will defend a young guy when he needs to and watched every ‘pen I threw unless he was pitching that day,” Archer said. By the way, Price is pretty good out there on the hill. We all know about his 2012 CY Young season but to understand his competitive fire and to illuminate what sets him apart from other similar starters, it’s a fun exercise to look at his track record against the beasts of the East. Over the last four years, Price has faced the Yankees and Red Sox 35 times, thrown 227 innings and amassed a 17-9 record with a 3.29 ERA. The next most wins against those two juggernauts over that time? Shields with 13. After that, it’s King Felix Hernandez with 10. Over the past four seasons, Price has thrown 830 2/3 innings – good for seventh in the AL – and 27 percent of those innings have come against the Yanks and Sox. Essentially, in the last four years, Price has thrown an entire season against the two highest-scoring offenses in baseball. Only one pitcher in baseball in 2013 – St. Louis’ Adam Wainwright – did as well against all opponents as Price has when facing the game’s elite. The last pitcher to defeat the Yanks and Sox 17 times in four years? Roy Halladay from 2006-‘09. Before that, you have to go all the way back to Hall of Famer Gaylord Perry from 1973-‘76. Obviously, wins are extremely dependent on factors outside a pitcher’s control, so let’s take a peek at some peripherals. Since 2006, only two other pitchers have led their league in complete games, walks per nine innings, and strikeout-to-walks ratio as Price did in 2013: Cliff Lee and Halladay, who did it three times. And 2013 wasn’t even Price’s most dominant season. So what can the Rays expect in return for a commodity like this? In December of 2012, they traded Shields and Wade Davis for top outfield prospect Wil Myers, who was recognized as the minor leagues’ top player in 2012. The Royals also sent Jake Odorizzi, a talented right-hander who would have competed for a spot in the Kansas City rotation that season to Tampa Bay. Additionally, minor league left-hander Mike Montgomery and third baseman Patrick Leonard jumped to the Rays as part of the package. 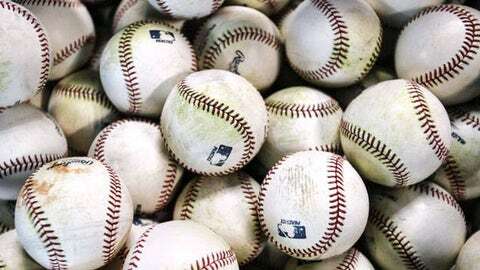 With the Dodgers (Cory Seager, Joc Pederson), the Mariners (Taijuan Walker) and the Diamondbacks (Archie Bradley, Braden Shipley) all with the necessary pieces to get a deal done, I anticipate a large return for Price. It’s obvious that other clubs that we haven’t heard about yet are wondering how to get their hats in the ring, too. If I were a Dodgers fan, I’d be salivating at the thought of a rotation that started with Clayton Kershaw, Price and Zack Greinke. How about a 1-2 punch of Felix Hernandez and Price if you root for the M’s? Yipes. The Royals got what they were looking for in Shields, and the club that lands Price will be getting a better package. While the Rays netted the 2013 Rookie of the Year winner in Myers, there is no guarantee that the young players they get in a Price deal will pan out the way Myers did. If I’m the Rays, I hold out for a better deal than the one they got from Kansas City, as crazy as that sounds. If I’m going to hand over my classic Italian sports car, and you’re going to be driving it down Pacific Coast Highway with the top down, while I watch, I want to be certain that I’m adequately compensated for the pain of that vision.